Why it matters: Digital downloads have been eating away at physical game sales for years, yet for many console owners, the second-hand market offers a way of trading in titles they no longer play for discounts on something newer. Over the weekend, it looked as if Bethesda was trying to put a stop to this practice, but the company has now clarified that the issue was over the language used in the listing. Hupp told Polygon that he bought the game as he’d expected to purchase a PlayStation 4, but decided instead to use the money on upgrading his gaming PC, sensibly. As such, he tried to sell the game on Amazon Marketplace, which he uses often. Vorys argued that Hupp was “not an authorized reseller,” and because it did not include the original warranty, the game was “materially different from genuine products” that are sold through official channels. “Unless you remove all Bethesda products, from your storefront, stop selling any and all Bethesda products immediately and identify all sources of Bethesda products you are selling, we intend to file a lawsuit against you,” the letter read. Appearing to stop someone from reselling a game resulted in a consumer backlash against Bethesda, understandably. But the company’s senior vice president of global marketing and communications, Pete Hines, offered an explanation to Eurogamer at QuakeCon. Hines said the issue was a matter of wording. Hupp described the game as “new” on Amazon Marketplace, something Bethesda says is false advertising. "He's not trying to sell a secondhand game, he's trying to sell a new game," he told Eurogamer’s Robert Purchase. "He was listing the product as if it was new. All we're saying is if it's a previously owned product, you have to sell it as a previously owned product - you cannot represent it's new because we have no way to verify what you're selling actually is new." "You could have opened it up, played it for five hours, taken whatever inserts or stuff was in there, put it back in shrink wrap and said, 'Hey this is new.' It's not new - you owned it, you bought it, so just list it as a used title. That's it, that's the end of the argument," Hines added. Hines emphasized that Bethesda is not trying to stop people reselling its games. It won’t take action against anyone who does—as long as they include the word “used” in their listing. 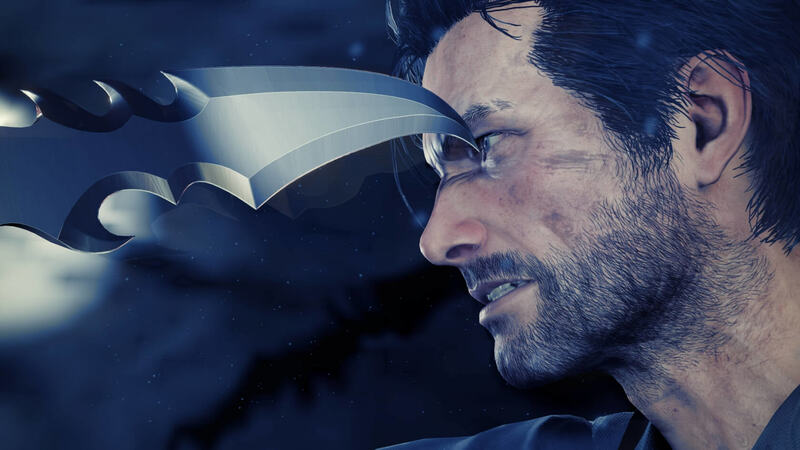 But there remains plenty of copies of The Evil Within 2—and other games—on eBay that are described as new. We’ll have to wait and see if Bethesda decides to threaten them with a lawsuit, too.